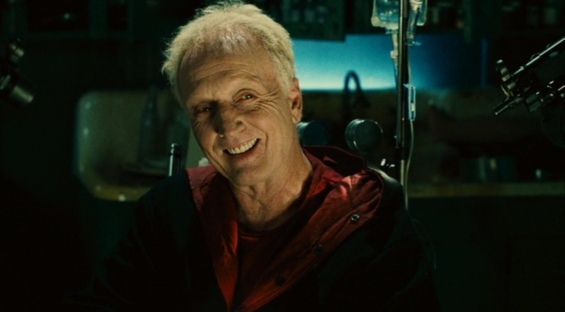 Saw II (2005) Or Does What Does Not Kill Us Really Make Us Stronger? Jigsaw is wonderful adapt at cognitive dissonance. He hides his true motivations under a Tea Party like Bootstrap ethics, while ruthlessly seeking revenge. 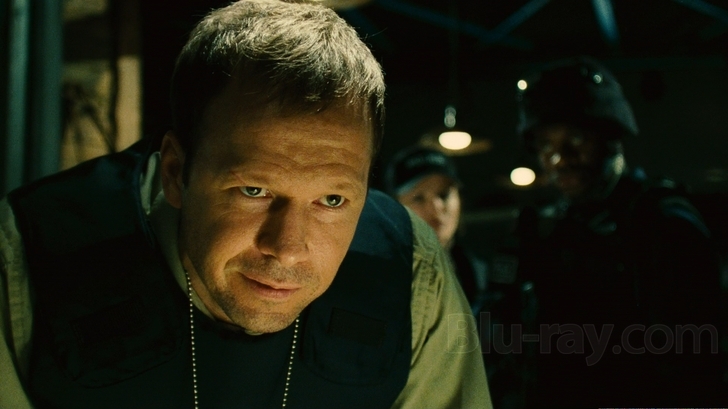 In Saw II, Jigsaw has a new partner in crime, Amanda. As we remember, she is the junkie who survived the reverse-bear-trap game in the first film. After winning the game, Amanda is recruited into Jigsaws torture terrorist cell. Following the first film, Amanda is tossed into the game as an observer. Waking up, she promptly contextualizes the rules and rational behind their kidnapping. They are to confront their fears, follow the rules, and potentially survive better for it. But are Jigsaws twisted altruistic motivation as pure as they first appear? His targets, much like the targets in Friday the 13th are individuals who directly or indirectly wronged him. In Saw, Dr. Gordon, the doctor that diagnosed Jigsaw’s cancer, is trapped and forced to confront… What? Jigsaws will to survive that Jigsaw has projected as a necessity for a well lived life? Or is it Gordon that he is confronting the emotional disconnect between his wife and daughter. Too busy being a doctor, he is like a ghost to his family. Or is it the way the game forces Gordon to confront his own mortality in order to clarify what he values. Only when a distant father is confronted with his own mortality does he realize the importance of what he will lose. 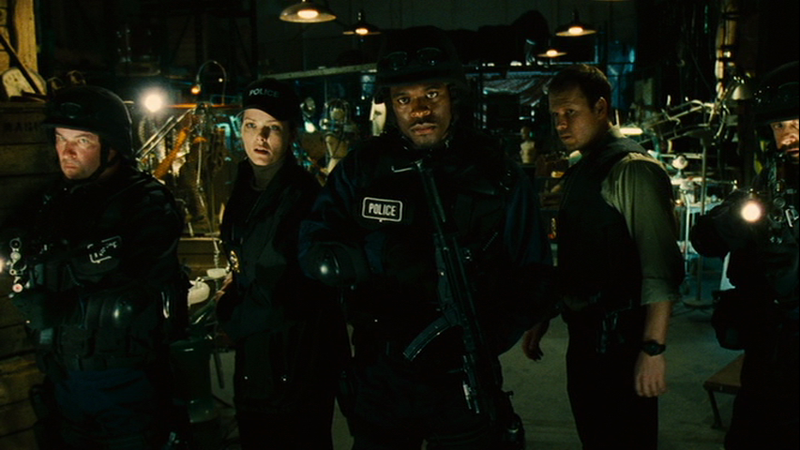 Let’s look at the game in Saw II and see if we can identify a pattern. The game is twofold. Detective Mathews is challenged to listen to Jigsaw tell his story in order to ensure the safe return of his son. As they talk, the cops are watching Detective Mathew’s son trapped in a house with felons that were convicted because Mathew’s planted evidence or otherwise nefariously cooked their convictions. Not only is Amanda experience her first game from the inside, but she is also one of those who had been wrongfully convicted by Mathews. Does this taint the moral consistency of the game? To cleans the spirit from the cowardice and neurosis that leans people to the freeze/flight end of the fight/flight/freeze spectrum. Can you help someone to improve their subjective existence all the while acting out a brutal revenge on them? To answer this question let’s look at the results of the game. The first film presents two outcomes: life or death. Amanda is the first example of survival. Rather than go back to her life she is recruited into Jigsaws cell, where she becomes a game maker. Gordon and Adam on the other hand fail the game in enough time. Adam is left chained to a pipe, and Gordon crawls away. And enough, though the failed to follow the rules, we later find out that he has been recruited to the terror cell. Most of the victim’s first instinct is to find an escape to break the rules and avoid direct confrontation with their immediate context. Even the quizzical Dr. Gordon was only curious about his situation and Adam only in so far as that information would help him find a way out of the game. Of what use is a transformation if the victim is going through the ritual of the game for pathological reasons? For example, if I saw off my leg because I want to escape is very different from sawing off your leg because you authentically want to overcome a psychological obstacle that is blocking you from truly living an authentic life. Yet, do we not end with the same result? Amputation. Meaning is everything, for it tells us in what sense a Gordon, or a Mathews is existentially transforming. Gordon on the one hand shows a clearly authentic desire for his wife and child when confronted with the possibility of losing them. His worry appears not to be just some pathological frustration over the concept of losing them, but the full knowledge of what it would mean to lose what they mean to him. On the other hand, Det. Mathew’s desire to be reunited with his son is clearly rooted in what he feels a father should be. His identification with this supposed role of what he should be for his son creates a gap in the relational depth of his desire. Then there is Amanda, Jigsaw’s creation - a will honed by the game. Amanda's will was, of course, demonstrated by her ability to gut some dude to find the key in his stomach that the contraption latched onto her face. But is this really example of a survival instinct? Of course on the surface it appears that Amanda was doing what she needed to do to go on breathing. This action, of following Jigsaws rules against the rules of the social contract did put her in touch with a spectrum of action that was foreclosed to her in society. Applying the game to Amanda’s lived reality, of what use is murder to the drug addict? Do the disemboweled guts of the people who have trapped her and perpetually her cycle of addiction really hold the key to her survival? What gets lost in Jigsaw’s rhetoric is the instinct to fight no more or less natural than one's flight or freeze response to danger. Jigsaw’s holding fight above all else, obfuscates the fact that it may be just as difficult to walk away from danger as it is to fight it. Dear Zombies - Wage Slavery and Poor excuses.